This year P&O hosted three Melbourne Cup cruises on three ships across the fleet - Pacific Dawn, Eden and Explorer — which were held over five nights including three days (two overnight stays) in Melbourne. So we packed our fascinators and sharpest suits and got ready for all the exciting events leading up to, and after, 'the race that stops the nation'. From the moment of boarding the Pacific Explorer until the final night, passengers were treated to Cup-centric decorations, activities and events. Not only were some crew members dressed in jockey silks, but there was a near life-sized statue of a horse in the atrium. As the excitement of sail-away subsided, a Cup-themed movie, Phar Lap, screened in the evening. 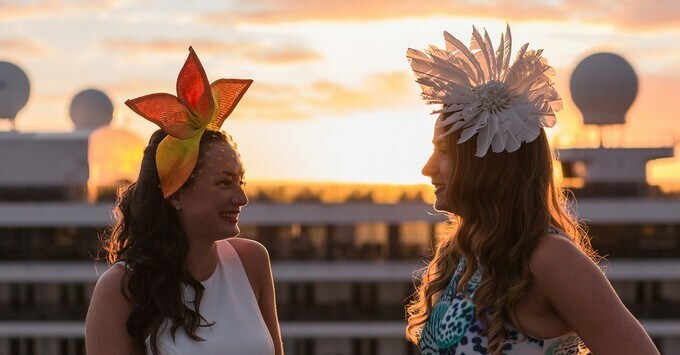 The next sea day saw more race-related activities including a Headpiece and Hat workshop (additional fee) with Milliner Kim Fletcher, followed by a Q&A with the first ever supermodel with Down Syndrome and P&O's Melbourne Cup ambassador Madeline Stuart. Cruise director Zoltina J hosted a '101 Guide to Melbourne Cup', and then it was time for an entertaining runway show, 'Fashions at Sea', showing the latest summer and race day trends. Passengers could also attend a 'Betting Made Easy' seminar with sports commentator Steven Hart, a 'Hats and High Tea' or a 'Horse Betting at Sea' seminar. 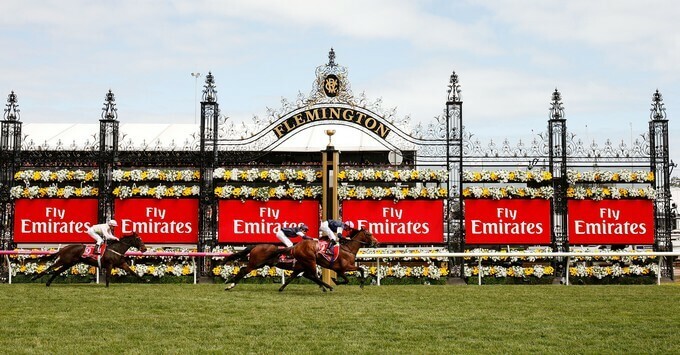 Pacific Explorer arrived in Melbourne, and passengers had the opportunity to attend the Cup Parade (via shuttle to the city) or take part in a behind-the-scenes-tour at Flemington (for an additional $345 per person). Despite the torrential rain on Cup Day, passengers were up early and dressed ready for the big day. In the atrium, ship photographers were busy snapping photos in front of Cup-themed backdrops as passengers waited to disembark and be whisked to Flemington via waiting coaches. While the weather was not ideal, the process ran smoothly. General admission and coach transfers to the racecourse were included in the fare. Passengers could also purchase an additional upgrade for entry into the P&O Cruises enclosure and reserved seating in the lawn stand. This upgrade included drinks and canapes throughout the day. While the excitement of the Cup was over for another year in Melbourne, onboard the festive vibe continued the next day. As the ship was still docked in port, passengers could either explore Melbourne on their own or through a shore tour, or stay aboard and take part in activities in preparation for Gatsby Night. On the final day, the activities culminated in a Q&A with dual Cup winning jockey John Letts, and then horse racing trivia with Steve Hart. 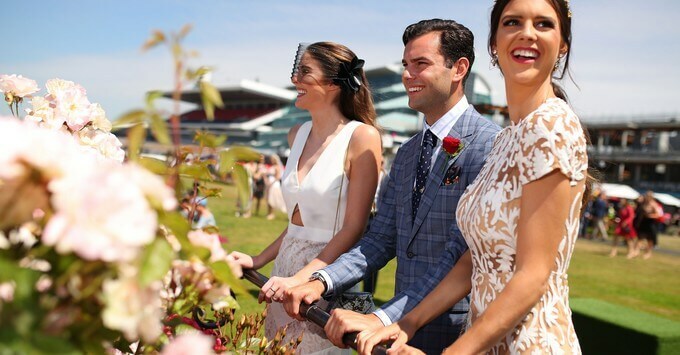 'An Afternoon at the Races' was held where the best dressed guest won a three-day cruise. 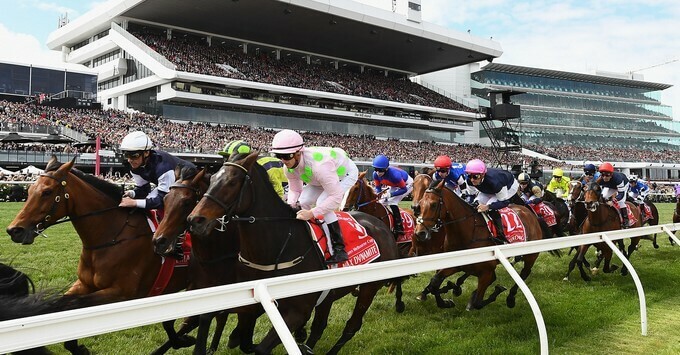 If you're a horse racing afficinando or simply enjoy the fashion and festivity, the Melbourne Cup cruise is a great way to experience Australia's most famous horse race in a fun and exciting way. Although there is a lot of Cup-related entertainment onboard, the cruise still offers all the regular activities, such as bingo, theme nights, live music and shows. It's a great way to extend the excitement of the Cup so that it lasts days rather than minutes.